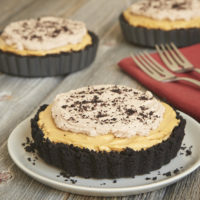 I have no seasonal qualms about making no-bake desserts all year long, but my desire for them goes up in full force when the days start getting warmer. 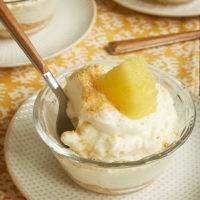 A little mixing, a little assembling, a little chilling, and you’ve got a cool, creamy dessert! 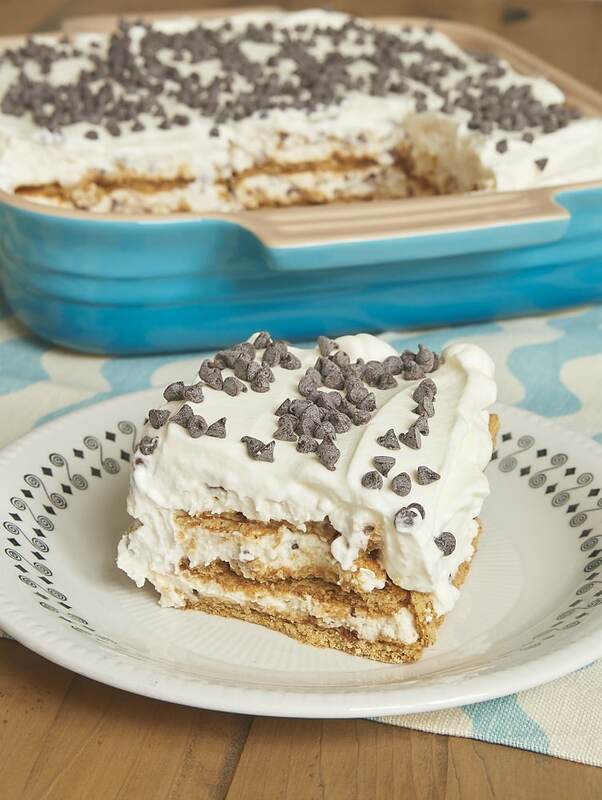 This icebox cake celebrates the flavors of cannoli, particularly the sweet filling you usually find inside them. The lightly sweet ricotta filling reminds me so much of the cannoli at one of our neighborhood pizza spots. You don’t get the crunch of a cannoli shell, but the graham crackers serve as a tasty substitute. 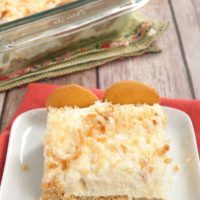 One of my favorite things about this icebox cake is that it’s not overly sweet. 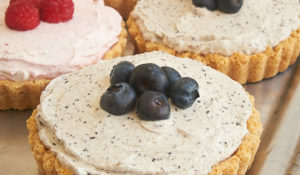 That makes it even more perfect for warm weather when I normally want my desserts a bit lighter. 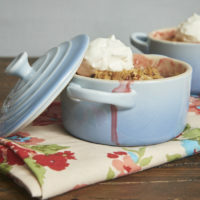 A new summer dessert staple, for sure! Of course, the most torturous part of making icebox cakes is waiting on them to chill. 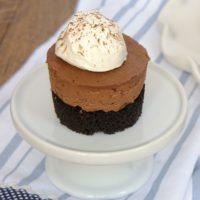 Your patience, however, will be rewarded when you dive in and enjoy that first bite. I must confess that Quinn and I liked this so much that we selfishly opted not to share it with anyone. It’s just too good! 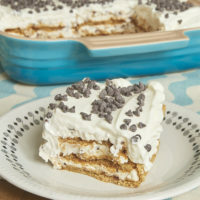 Cannoli Icebox Cake celebrates the flavors of cannoli with a lightly sweet filling, chocolate chips, and graham crackers. A breeze to make! Using an electric mixer on high speed, beat the ricotta, confectioners’ sugar, and vanilla until smooth. Place cold water in a small saucepan. Sprinkle the gelatin over the water and let sit for 2 minutes. Then, cook over low heat, stirring constantly, until the gelatin is completely dissolved. Resume mixing the ricotta mixture, and gradually add the gelatin mixture. Mix well. Stir in the yogurt and chocolate chips. Refrigerate for 30 minutes. Arrange a layer of graham crackers in the bottom of a 9-inch square pan, breaking the crackers as needed to fit and cover the bottom. Carefully spread about a third of the ricotta filling over the crackers. Top with another layer of crackers and half of the remaining filling. Repeat with another layer of crackers and the remaining filling. Place the pan in the refrigerator. 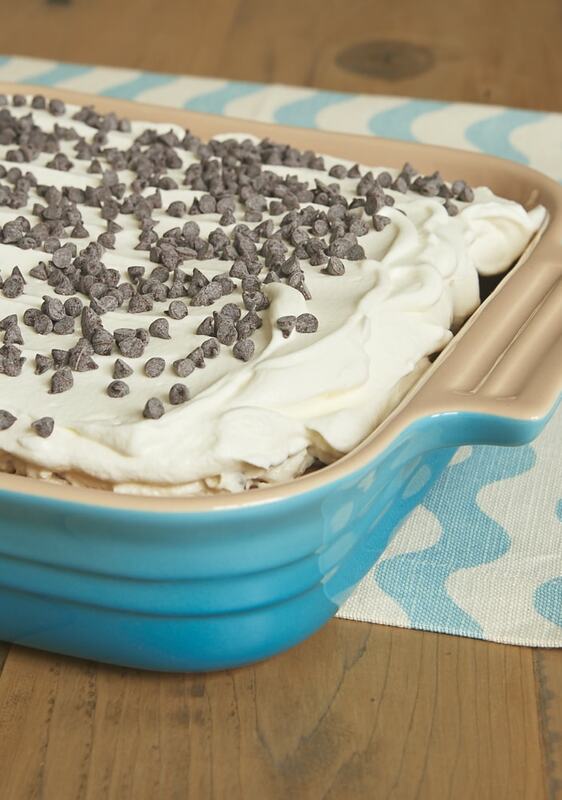 Spread the whipped cream over the top of the icebox cake. 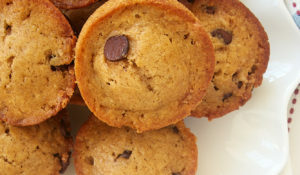 Sprinkle with more chocolate chips. Refrigerate at least 4 hours before serving. Keep refrigerated. Do you think this would work with cottage cheese instead of ricotta? Or would it be too runny? 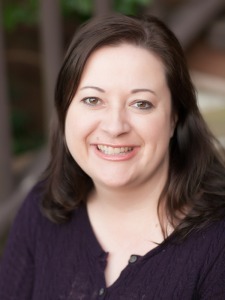 Hi, Kendra. I personally don’t like cottage cheese, so I don’t have a lot of experience using it in place of ricotta. I know that it’s commonly substituted in things like lasagna. The texture is definitely different, though, and may not mix as smoothly or set up as well. I wish I could offer a better answer, but I’d use ricotta if at all possible. If you should try it with cottage cheese, though, please let me know how it works. I love cannoli. This is a great variation. Can’t wait to try it. Looks amazing! I am definitely going to make this soon. I think that would work, Linda. Their thickness may require a bit more chill time to soften. I’ll take cannoli cream however I can get it. And since I don’t plan on learning how to make cannoli shells any time soon…this is perfect! I’ve made cannoli shells and they just weren’t the same as what you get in a restaurant! This sounds much better and definitely easier! 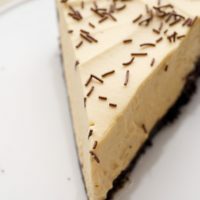 I LOVE cannoli and the fact that this icebox cake is a million times easier to make is just awesome! Looks delicious! Think I will make it for 4th of July weekend. 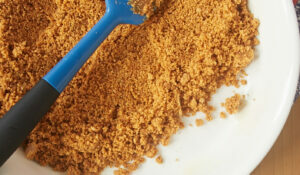 I wonder what would happen if you used crushed up cannoli shells instead of graham crackers? Our grocery sells them in the Italian aisle. Hi, Carolyn. I think that would work, but will likely be a little less sturdy. You might have to spoon it up more than slice it. do not like the yogurt. do u have another suggestion?